There wasn’t a dry eye in the house. 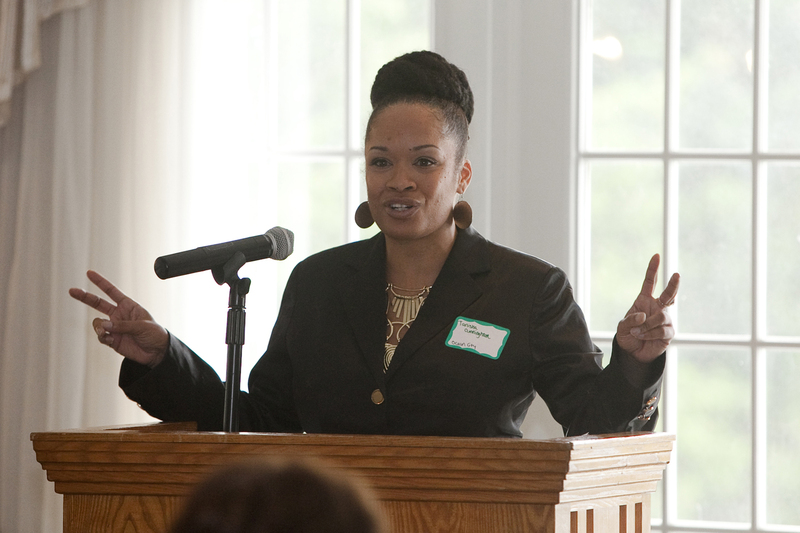 That was the general feeling on October 16 when guest speaker Tanisha Cunningham told her foster care story to community members who attended CASA’s annual Community Awareness event. Tanisha grew up in New York City. Her earliest memory is of her mom telling her to wait on the steps of her project home and she would be right back. She was three years old. Tanisha’s mother never came back but the child welfare division did, beginning her long relationship with what Tanisha described as her “mother,” the city, and her “father,” the state. 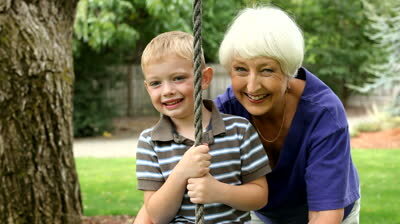 What happen to Tanisha over the next 16 years is, unfortunately, the rule instead of the exception. In and out of foster care, Tanisha was returned to her mother too many times to count and endured abuse so violent that she wondered each day if it would be her last. Each day she became more angry, until one day, when she was 13, she contemplated hitting her mother with a porcelain elephant and actually had the figurine in her hand when her mother turned around. Tanisha believes that someone was watching out for her, and her mother, that day. 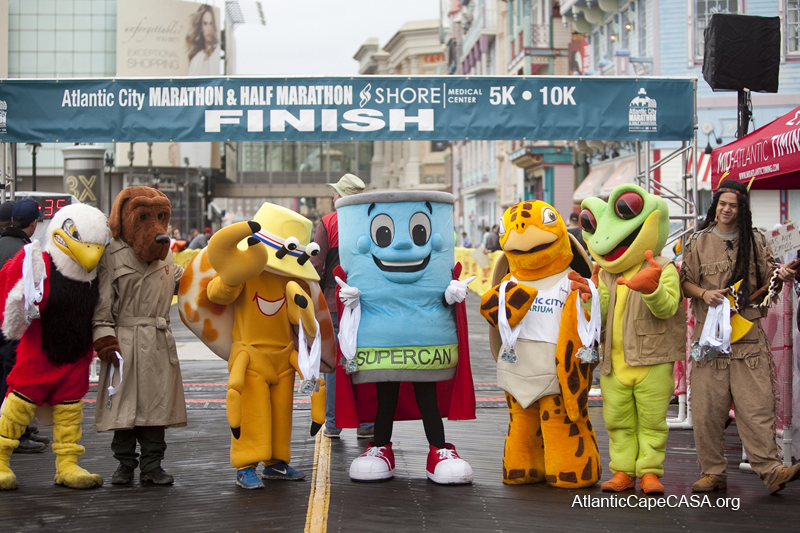 After her mother left that fateful day, so did Tanisha, putting what she could grab in a trash bag and running in the opposite direction away from her mother. She thought her life would be better, away from the hands that did so much physical damage. But being a teenager landed her in a group home with other abused and abandoned youth instead of with a foster family who could have provided the guidance she needed. In the group home, the teens taught each other how to cope and manage the system. Tanisha recalled that nobody questioned the residents if they didn’t attend school, or rarely gave any guidance to prepare the youth for their future. Most vividly, she remembers being known only as her case number instead of her name. Something that made such an impression on her that she still recalls the number some 30 years later. Fortunately, Tanisha made choices that positively affected her ability to survive after leaving the foster care system. 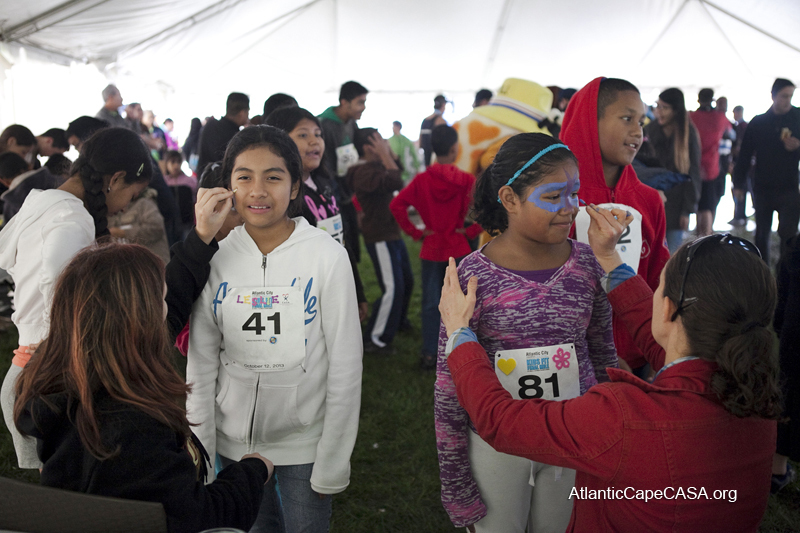 Many of her peers were not as fortunate and became homeless, addicted to drugs or criminals. Tanisha recounts a day that she was taking a lunch break about a year after she started working. She hears someone call her name on the street and turns around, but doesn’t see anyone she recognizes. She continues walking, and hears her name again, this time when she turns a man is walking towards her. “Don’t you remember me?,” he asks. She still doesn’t recognize this man until he smiles and then she knows it is “Big Mike.” They spent time at the same group home and he was always a kind, quiet soul. But today he looked different, skinny, dirty, scratching and twitching, eyes darting back and forth. This was not the boy who Tanisha remembered. “I don’t consider myself lucky, Big Mike. I just took a different path than you.” Tanisha knew that she could have just as easily ended up in Big Mike’s shoes. Had Tanisha and her peers had a CASA volunteer, Cunningham said, they would have been better prepared for living independently. 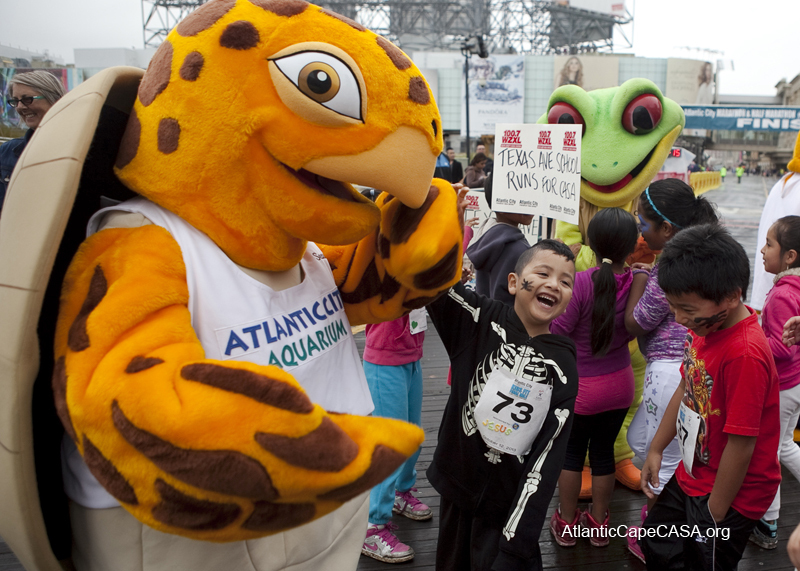 Unfortunately, the CASA program was not available when Cunningham was in foster care. 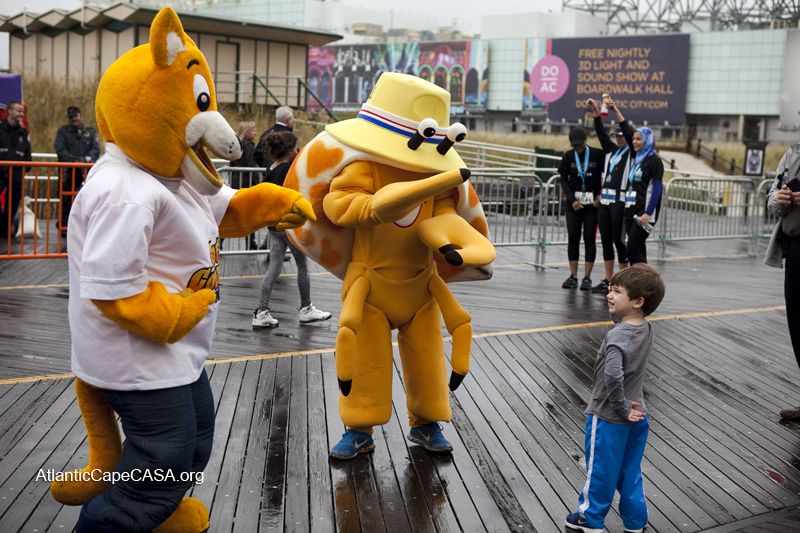 Thankfully, CASA programs operate all across the nation and in every county in New Jersey. With CASA volunteers paired with foster youth, we can give them an advocate, a voice and a chance to thrive. 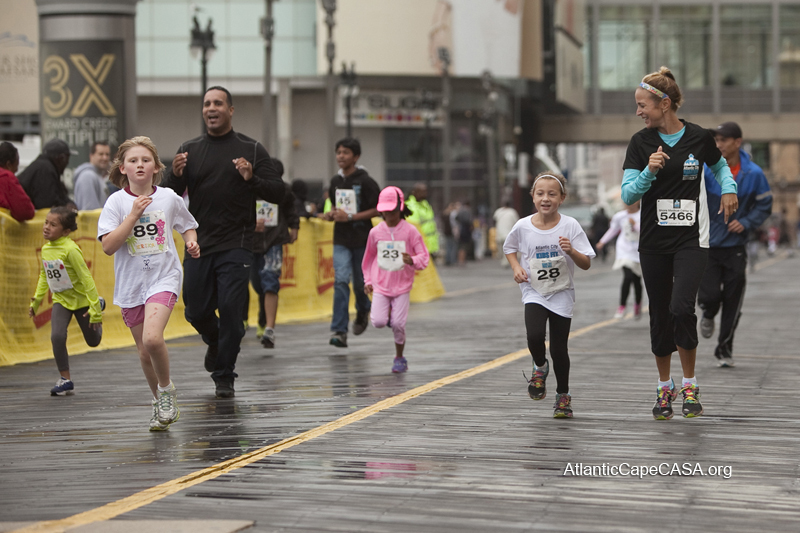 Rainy weather did not stop nearly 100 children from participating in the annual Atlantic City Marathon Kids Fit Final Mile on Saturday, October 12. 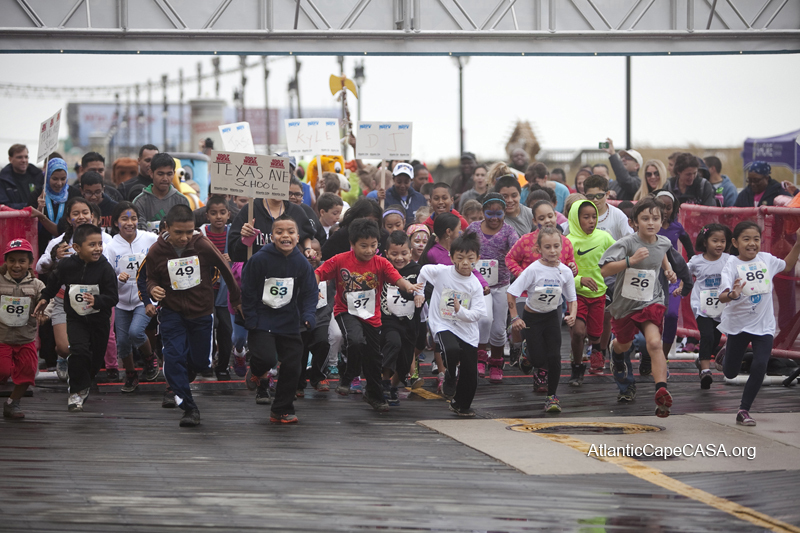 The one-mile run benefited CASA for Children of Atlantic and Cape May Counties. 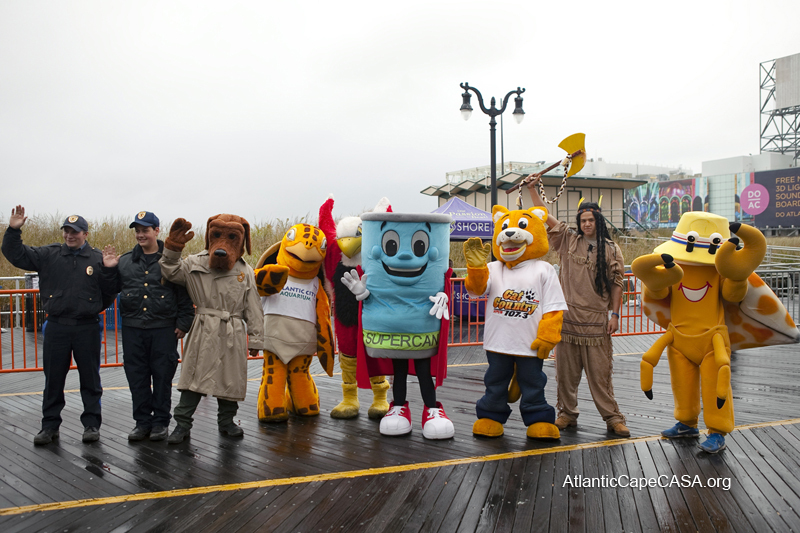 Before the run, children had the opportunity to decorate their running bibs, get their faces painted, and interact with different mascots from the area, including McGruff the Crime Fighting Dog and the Law Enforcement Explorers, of the Cape May County Sheriff’s Office; Seaweed the Sea Turtle, of the Atlantic City Aquarium; the Red Raider, of Ocean City High School; Supercan, of the Atlantic County Utilities Authority; the Cat from WPUR Cat Country 107.3; The Brave, of Absegami High School; Ocean City’s Martin Z. Mollusk; and the Rain Forest Café’s Cha-Cha the Tree Frog. 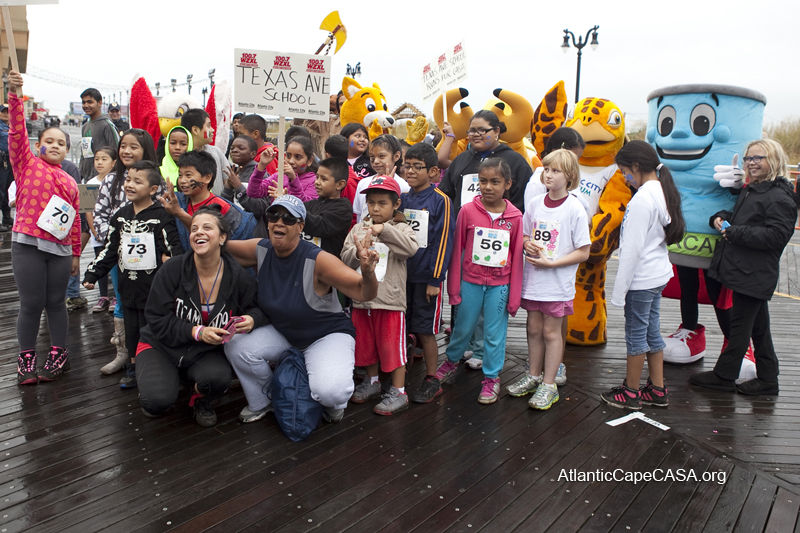 Texas Avenue School of Atlantic City was a big supporter of this event for the second year in a row, with 50 students participating this year. 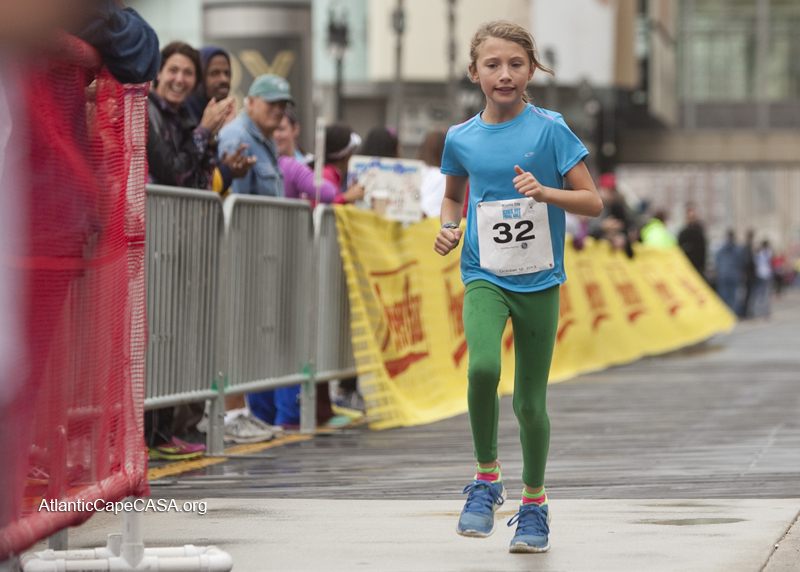 It is an opportunity for the school to promote health and fitness, and several of the teachers set an example by running alongside their students. 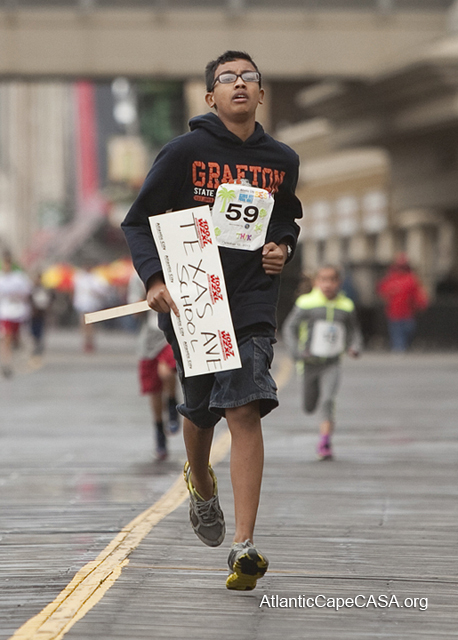 The students’ and teachers’ enthusiasm showed, as they held up signs as they ran, which read, “Texas Ave School Runs for CASA!” Their student Hrithik Mazumder, 12, finished in first place, carrying his Texas Avenue sign with him across the finish line. 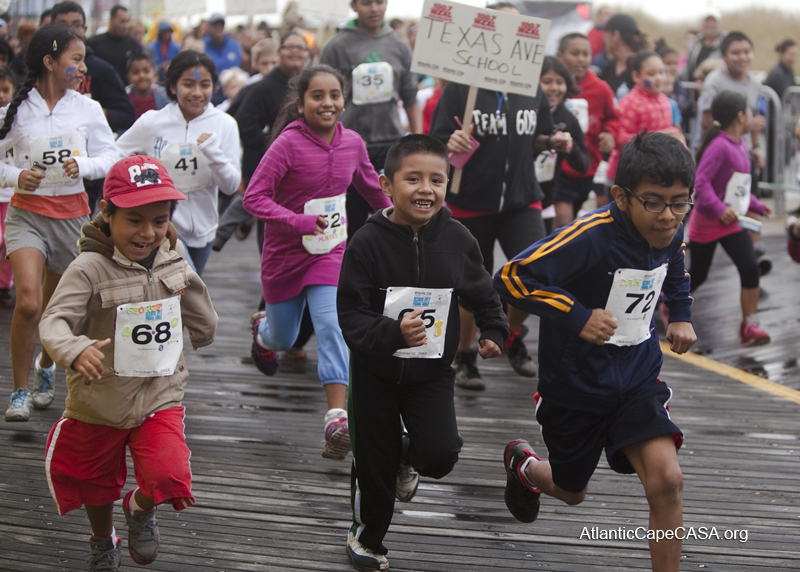 Thank you to Texas Avenue School; our sponsor: the Atlantic County Council of Education Associations, all of our runners, and all of our wonderful volunteers, including 14 students from the Egg Harbor Township High School Interact Club.